An unsubscribe is a landing zone or survey which, when activated, will write back to the contact's record within CommuniGator and prevent them from receiving undesired emails in the future. 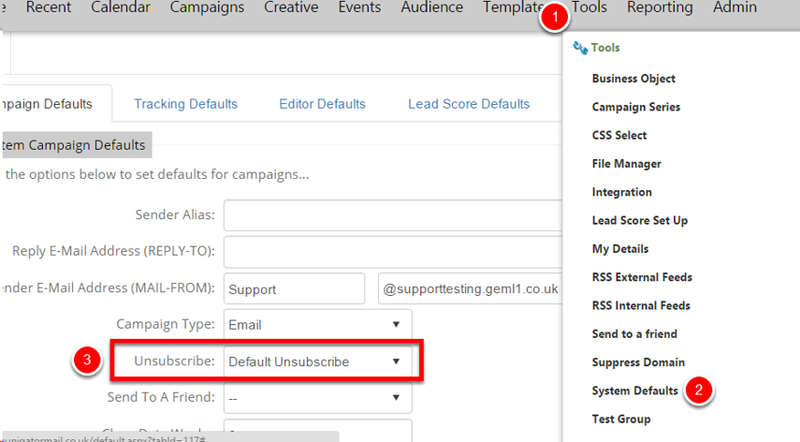 After inserting the unsubscribe link in your creative email, you need to ensure that there is an actual unsubscribe LZ or survey attached to your campaign in order for the link to work. NOTE: if you want to send a campaign out to all your contacts regardless if they have unsubscribed or not, select none. This ignores the contacts opt in value and sends the email. This should only be done in extremely limited circumstances, for example confirmation of attendance at an event, or a critical IT update for your clients, where recipients do not need to be able to opt out. If you do not want to have to attach the unsubscribe every time, you can set an unsubscribe as a default. 'Send to a friend' is a referral tool you can insert into your emails which allows the recipient to enter the details of a friend who might be interested in the email they received. The friend will then receive an email asking them to sign up. Once the friend acknowledges, they are subscribed into the system, and will receive the email campaign. In order for this to work, you need to assign your 'send to a friend' to the campaign itself. 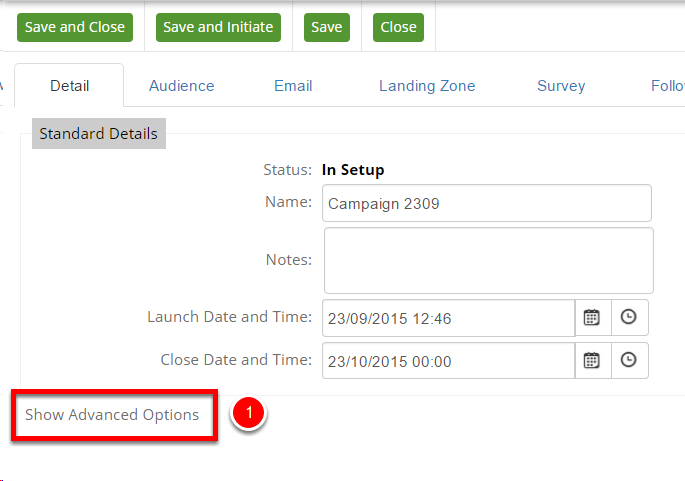 Within the advanced options, you have the ability to attach the 'send to a friend' option to your campaign.